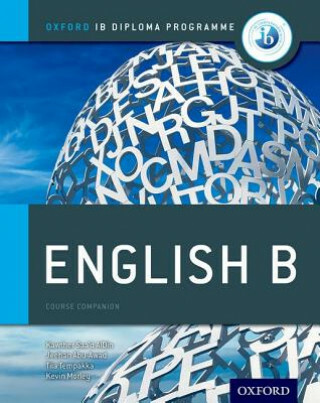 Incorporating a wide range of texts from all over the world, this text covers all the main core topics plus the options to fully address the requirements for English B at both Standard and Higher Level. Linguistic and intercultural communication competencies are thoroughly covered, in line with the syllabus, with support for each externally-assessed paper, the written assignment, the internal assessment as well as TOK and the extended essay included. Students will be rigorously prepared for assessment; practice and support is included for each part of the exam to help with this. Boosting students' interest and building motivation is also a priority, and an attractive, clear and colourful design helps students to enjoy developing their skills and understand the syllabus. *The most comprehensive - full coverage on all the core topics and options at SL and HL included *Ensure strong performance - includes support for each part of the exam plus practice on every aspect of the syllabus *Teach fully in line with the IB ethos - links to TOK, international-mindedness and the IB Learner Profile are integrated *You can depend on the authors - written by an English B consultant and a team of experienced English B teachers *Fully develop the four language skills - with in-built support for speaking, listening, reading and writing *Teach English as a global language - includes extracts from across the English-speaking world, for a truly international feel *Helps students stay on track - bright, colourful and engaging format About the series: The only DP resources developed directly with the IB, the Oxford IB Course Books are the most comprehensive core resources to support learners through their study. Fully incorporating the learner profile, resources are assessed by consulting experts in international-mindedness and TOK to ensure these crucial components are deeply embedded into learning.